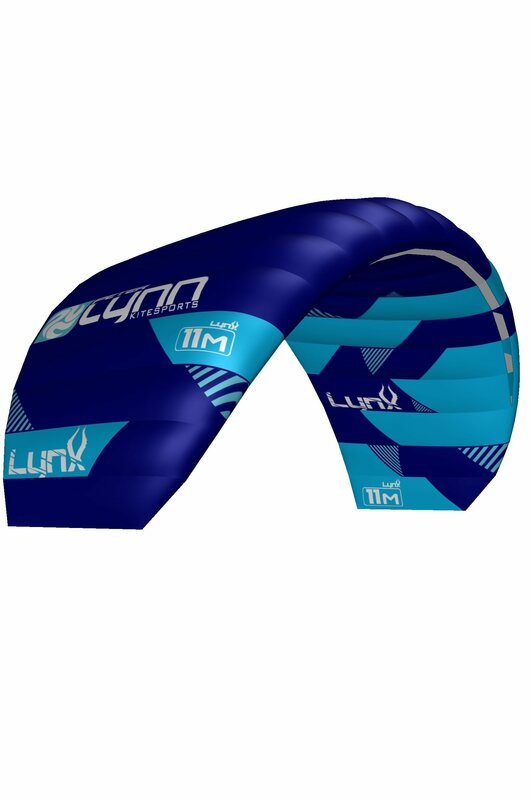 The Lynx is a medium Aspect Ratio, open cell depower foil with a 5th line safety, that offers plenty of smooth and controllable power and is very responsive to bar input. The kite’s stability and superior flight characteristics make depower kiting easy and accessible in a wide variety of conditions. It is this stability and predictable flight behavior that makes the Lynx perfectly suitable for experienced riders that need a safe high wind engine. Yet it is designed to be as easy and user-friendly as possible to guarantee a great kiting experience even for riders just getting into the sport. As safety is paramount in any entry level depower kite we have incorporated a new ‘stop and go’ safety system, this safety guarantees 100% depower even in tricky conditions and a no hassle re-launch. The system can also be used to safely launch and anchor the kite if you need to take a break. The medium Aspect Ratio wing is designed to be as stable as possible in different conditions. The Lynx features a full stop safety to ensure safe landings or safety releases even in tricky situations. The smooth and accessible power of the Lynx allows for a broad range of uses.